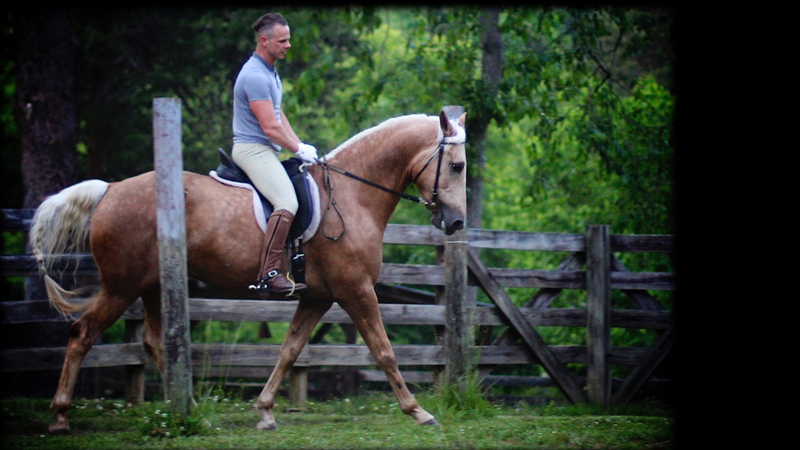 Resistance is an essential concept in high equitation, because it ultimately describes the degree to which our horse is really “finished”. At the highest level of conception, resistance represents the gap between what the rider requests and what the horse willingly delivers. The horse may “resist” by being unresponsive, showing signs of agitation, or openly revolting altogether. In any event, he is being uncooperative for one of several reasons I have explored separately in The Three Types of Resistance. For example, a finished horse will let me place his head exactly where I want it. His only concern is discerning what I want through the feel of my hands. The unfinished horse – who may well be very experienced, yet remain an essentially green horse for the purposes of high school – will very clearly indicate his displeasure as soon as I place his head in a position different from the one he prefers – because he feels confined, or is unused to this degree of specificity, or merely wants to look around at other horses. He’s willing enough to let me sit on his back while he enjoys a stroll, but as soon as I begin to really ride him and ask him to move in balance, he becomes agitated, snorting and trying to hang up the phone on, i.e. – tossing his head to remove whatever degree of contact I’m using to communicate. He doesn’t want to talk or listen. He wants to do other things that don’t involve listening to me. Predictably, he becomes claustrophobic when put between the the hand and the heel, and asked to move rassemble. A trained horse horse will immediately displace his hindquarters – at a standstill and in motion – when he senses the approach of my leg. The untrained horse will resist, ringing his tail in agitation, and/or kicking out behind. In general, given proper training and patience, horses begin to show less resistance in time. Instead of responding to new problems with reflexive agitation or defensiveness, they presume there is a “right answer” out there, and they search for it diligently without over-reacting. When you reach this mark with your horse, pat yourself on the back. Your horse has come to respect you and trust you. You are on your way to high school equitation if you want it. For many equestrians, respect and trust, unfortunately, remain mutually exclusive achievements. They can achieve “cowboy compliance” by attending some clinics, and learning to emotionally detach themselves from cliche halter jerking and “carrot” sticking. In the short run, this can be a deceptively preferable picture. Longer term, it’s self defeating, and the problem will become obvious on approach to higher level equitation. Why? As a rule, new learning requires, initially, wrong and inadequate answers on the part of the horse. The fearful, hyper-sensitive animal is too scared of the repercussions of a bad guess. He quickly associates any type of stress or confusion with imminent punishment, and, as with any other animal – including people – escape and, ultimately, ambivalence become the only “sensible” answers. On the other hand, equestrians who are either squeamish – or simply unskilled – when it comes to delivering the right amount of correction at the right times may achieve a kind of “trust” inasmuch as their horse has no fear of them. This is certainly a more humane problem to have, but, ultimately, no more productive in high school dressage. Here again, the problem is that the horse fails to constructively search for answers (and therefore learn) – in this case because he’d simply rather do other things (much like every elementary school student in the universe). Successfully addressing resistances implies the right dose of respect and trust.